Lake Monroe Sailing Association is dedicated to teaching people of all ages to be safe and responsible sailors, offering a variety of learning opportunities for those interested in exploring the joy of sailing. 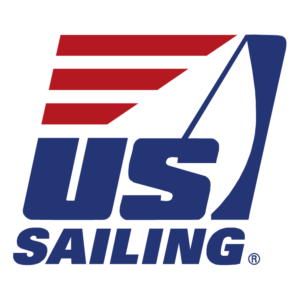 Certified instructors from both the American Sailing Association and U.S. Sailing provide classes in small boat and keelboat sailing, leading to certifications in both types of boats. 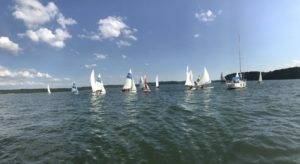 In collaboration with Bloomington Parks and Recreation, the Lake Monroe Sailing Association offers a variety of opportunities for those interested in exploring the joy of sailing on Lake Monroe. 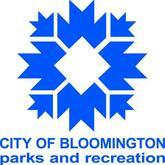 Our Youth Sailing Camp is a perennial favorite among area kids. They learn the fundamentals of small boat sailing in a fun, week-long camp program. The Adult Sailing Program is a two-day weekend program designed for adult learners. No previous experience is required and sailing fundamentals are taught on board a comfortable cruising sailboat by our own knowledgeable sailing instructors. The Family Sails Program is a unique 3-hour experience designed for families or small groups who just want to get out and enjoy the thrill of sailing on Lake Monroe. As crew, your family or group will learn a little about sailing and boat rigging in a leisurely, friendly atmosphere. This is a perfect way to ease into sailing on Lake Monroe. LMSA offers ASA 101, Basic Keelboat Sailing. In this class, you will learn to skipper a 20′ – 27′ sloop-rigged keelboat by day, in light to moderate winds and sea conditions. Learn basic sailing terminology, parts and functions, helm commands, basic sail trim, points of sail, buoyage, seamanship and safety including basic navigation rules to avoid collisions and hazards. Visit our page at the American Sailing Association website for more information. For further information about our sailing instruction programs, please call our facility manager at 812‐824‐4611.